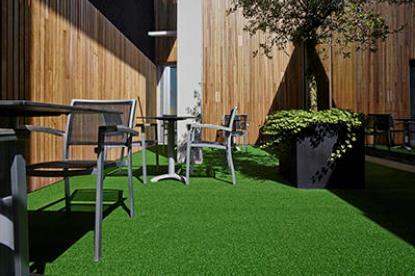 Whether you’re a reluctant gardener or simply want a year-round look for your surroundings, artificial grass is the answer so why not s’witch from real to artificial and enjoy the difference? Low maintenance, eco-friendly and easy on the eye, artificial grass gives you the perfect lawn every season, giving you more time to relax and admire it instead of mowing and maintaining it. From small yards to vast lawns, you can enjoy the feel of grass underfoot with a wide range of depths and colours from which to choose. If you like the precision finish of a golfing green or the more relaxed style of a rugby pitch in varying shades of green or even blue or red, you can ensure you have the garden you want all year round. 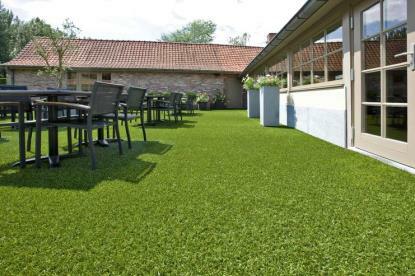 Deciding on the right type of artificial grass can be time consuming and difficult to get right. Imagining how it will look is often quite difficult – our Showroom and home samples service has been designed to help eliminate these problems. We can provide samples of artificial grass and can usually leave them with you so that can see how well they look in different light conditions!